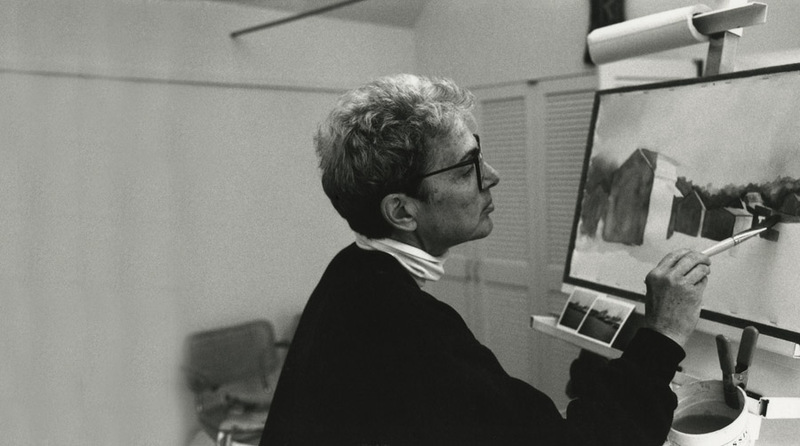 Gretchen Feldman, a former textile conservator, was born in 1934 in Philadelphia, PA. She lived and worked on Martha’s Vineyard, MA, from 1985 until her death from lung cancer in 2008. Her work was strongly influenced by the seasonal moods of The Vineyard, as well as the changes in her garden and the landscape surrounding her studio. A lifelong fascination with the rich textures and colors of textiles, particularly quilts, can be seen in her brilliantly hued semi-abstract works on paper. These paintings, with her signature balance of shape, form and powerful color, combine layers of transparent and iridescent watercolor with thickly applied, opaque layers of crayon, colored pencil and pastel. Her work has been shown extensively in the United States including recent exhibitions at the American Visionary Art Museum (Baltimore), Carol Craven Gallery (Martha’s Vineyard), and Nevin Kelly Gallery (Washington D.C.).